Every season I find myself counting down the days until my FabFitFun box is to arrive. This season was no different. 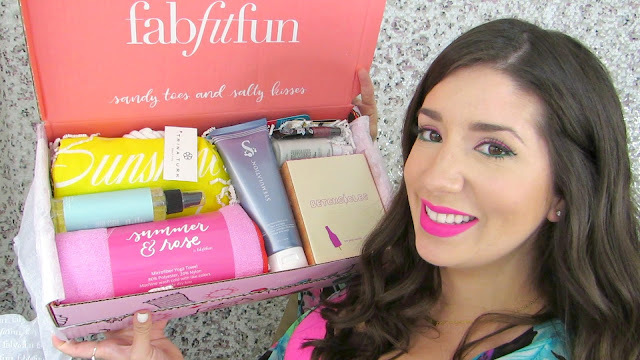 This beauty, fitness and lifestyle box is FILLED to the brim with Summer essentials. Spoiler Alert : It even includes the pool/beach bag ! 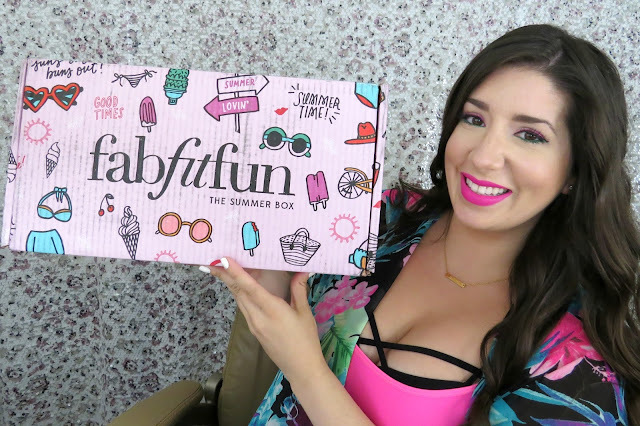 FabFitFun is a quarterly curated box filled with FULL SIZED hand-selected items in beauty, fashion, fitness, wellness and basically just the right amount of everything a girl needs for every season! Use the FabFitFun promo code : SPARKLE to get $10 off your subscription! My referral link to sign up for FFF. Been using this both day and night since I opened the box. Light creamy texture. Doesn't Seem to break me out. Smell like a bottle of liquid spa. This also smells fantastical and a bit citrus. I've used this both on my body and face ! Very gentle but still effective at removing old layers of skin. This bag is big enough to hold your pool towel, makeup bag and a pool toy or two. I am snuggling this towel as I am typing this! Just as long as a traditional toga mat and ultra soft. I look forward to using it for its intended purposes. But right now, it is keeping my legs warm from the air conditioning vent that is blowing right on them. This thicker liquid balm gives my lips a hint of color while also conditioning them with vitamins and hydration. Haven't tried this out yet but the kids and I are excited. Overall, this season box has it all for me. The huge full sized bottles of Stemulation and OSEA are a huge A+ in my book. And the texture spray, beach bag and yoga towel are already being used regularly. Comment below and tell me which product from this months box you find most appealing. Looks like a great box with a nice assortment of items. It's nice that it has things for you to use and for your kids.